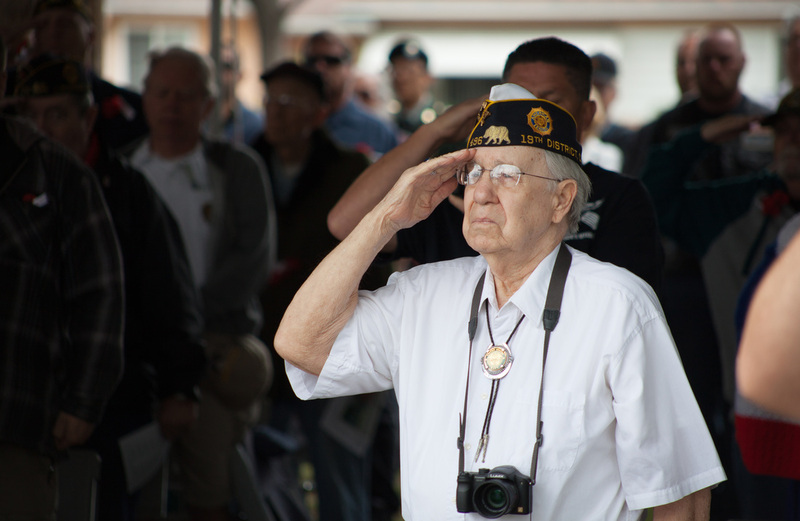 When Lakewood was founded as a city in 1954, many of its original residents were veterans and their families. The city’s appreciation for military duty in service to our country was strong then, and has continued to be strong in every generation since. 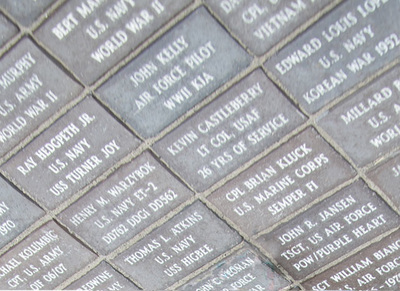 When the city renovated and expanded its Veterans Memorial Plaza in 2015, commemorative bricks were laid around the memorial so that veterans with a connection to Lakewood could be remembered and honored. 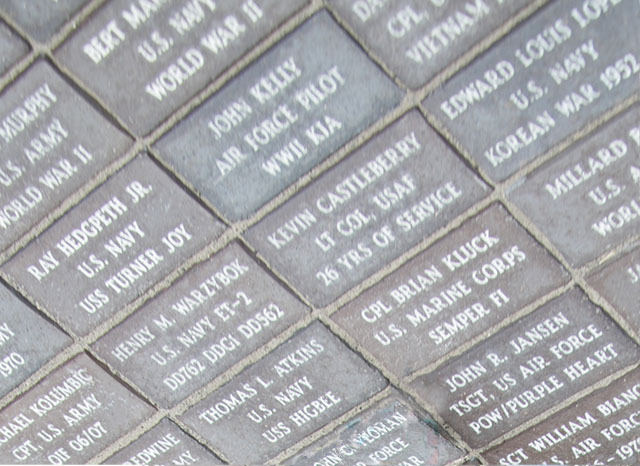 Now, to accompany the bricks and the memorial, the city is initiating an online Veterans History Project where the stories can be told and heard for generations to come of those veterans and active-duty military service members whose names appear on the commemorative bricks, or who otherwise have a Lakewood connection. If you would like to tell the story of a Lakewood-connected veteran or active-duty service member close to you, please click here to learn how. 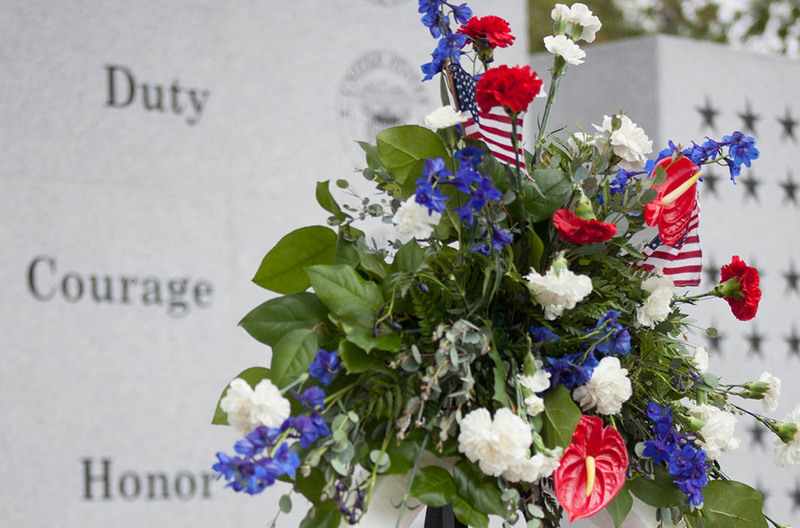 Watch this Lakewood CityTV video featuring the stories of four related Lakewood veterans, each honored by a brick and a page on this website. On Memorial Day 2015, more than 7,000 people attended Lakewood's rededication of the newly expanded Veterans Memorial Plaza. 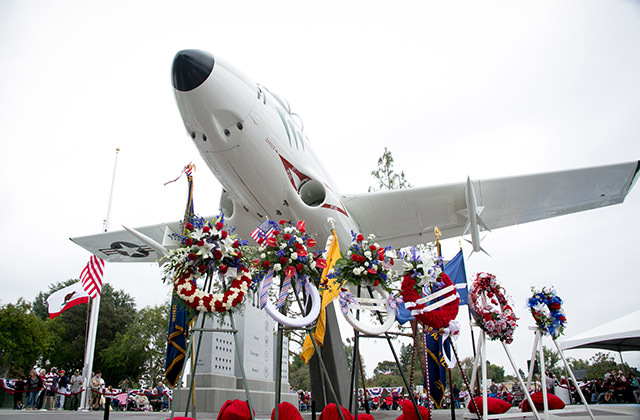 The new plaza includes the refurbished Del Valle jet plane and over 2,000 memorial bricks purchased in the name of veterans and Lakewood community members and groups. The Plane from CityTVLakewoodCA on Vimeo.